You are here: Home / Artists page / Blog / New Bergantino Dealer in Seattle, Washington! New Bergantino Dealer in Seattle, Washington! We want to welcome our new dealer in the Seattle, Washington area – The Bass Shop!! 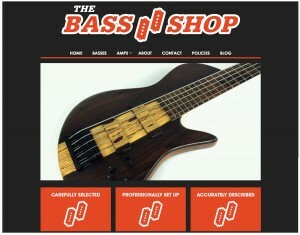 I’m sure that many of you know Chad from Bass Northwest and he now has his own operation in Seattle. He has Bergantino Audio product in stock and knows the product line well. Call him, visit him, play some Bergantino Audio. He supports bass players, so please support him! https://bergantino.com/wp-content/uploads/2019/01/bergantino-logo-green-white-RGB-300x80.png 0 0 Bergantino Audio https://bergantino.com/wp-content/uploads/2019/01/bergantino-logo-green-white-RGB-300x80.png Bergantino Audio2015-09-28 16:21:292015-09-28 16:21:29New Bergantino Dealer in Seattle, Washington!